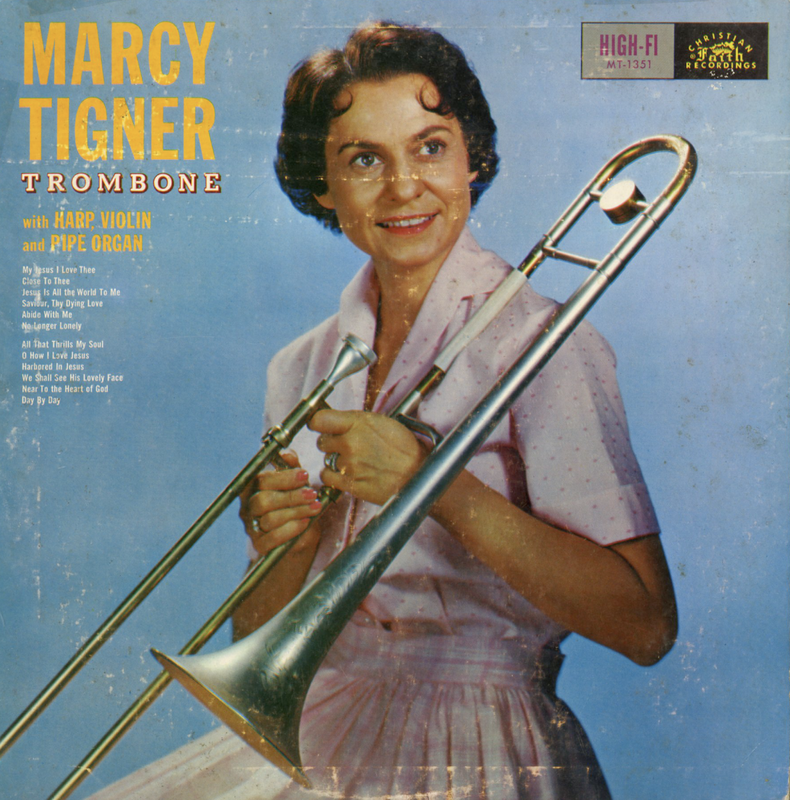 From the back cover: Marcy began her study of the trombone when about eight years of age, and became a top-ranking performer with her chosen instrument during her school years, winning first place in two state and two national contests. She played in the high school band and orchestra and also in the Portland, Oregon Junior Symphony. Numerous calls came to her to play at schools, churches, banquets, and on radio programs. After high school she attended Multnomah Collage (Portland) and the University of Oregon where she continued her study of music. 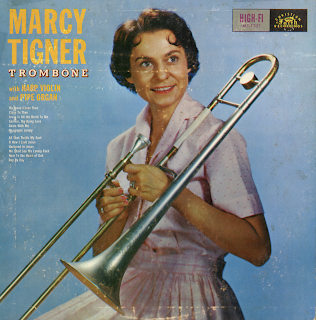 In addition to her many appearances in Christian meetings, Mrs. Tigner has conducted her own radio program in Seattle, Washington "Marcy Tigner's Hymntime." Better known to vinyl collectors for the "Little Marcy" phase of her career.